People who fill out an Amigos United application are looking to join a company that strives to offer their customers outstanding customer service while selling American and international cuisine. Links to apply for jobs at Amigos United are at the bottom of the page. 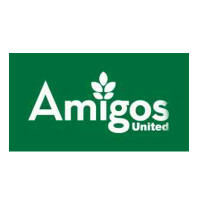 Amigos United is run by United Supermarkets and is a fairly new addition to their lineup of supermarkets with the first store being opened in the last five years. Currently, United Supermarkets is run by Albertsons, after being bought by them in late 2013. Amigos United only has four locations open right now. Customers are the key focus for Amigos United and they strive to be a one stop shop for them. They offer the usual grocery store, a bakery, produce section, seafood section, alcohol, and meat counter. Two locations also offer a pharmacy services for their customers. Within the Amigos United stores, you’ll find yourself supporting various charities around the world, including local food banks, universities, and United Way, among others. On a yearly basis, the company gives over two million dollars away to charitable organizations and various groups around the community. Employees are also encouraged to go out and volunteer in their community to make it a better place. Corporate jobs for Amigos United will have you working with United Supermarkets and any of their markets out of Lubbock, Texas. Some of the positions will have you traveling from store to store, making sure that everything is working smoothly, but most of the stores are located in Texas or New Mexico, so you wouldn’t be travelling too far. This company only has four locations in mid to upper Texas. At two of those locations, there are pharmacies, so if you’re interested in healthcare you could have Amigos United jobs within the pharmacy. Within the grocery stores, there are several departments that you could work in including meat, produce, or seafood, among others. How old do you have to be to work at Amigos United? Age requirements vary by position, but several jobs need you to be over eighteen. As you browse Amigos United jobs online, make sure to read all position requirements carefully, as some need various certifications, degrees, or experiences. People with Amigos United careers get several benefits which include medical/dental/vision/life insurance, retirement plan, vacation and personal time, and savings plans for potential college students. However, getting benefits depends on your time with the grocery store and the position that you hold. Food Service Clerk – Maintaining a clean and organized area will give a welcoming feel to any customer that goes through your area. If the customer needs any assistance, you’ll strive to give them quick and accurate service. Compensation is around minimum wage. Sacker – You will make sure that guests are happy with the service that they’re provided as you check them out. If requested, you’ll assist the customer by carrying their groceries to their car after bagging them. As needed, you will do general cleaning duties around the front of the store. Compensation is around $20,000 a year. Baker – Creating constantly quality products is a key part of this position as it will make every customer feel as though their event or occasion is special. When guests come to order or pick up their bakery item, you’ll make sure they get excellent customer service. Compensation is around $70,000 a year. Pharmacy Tech – Keeping a safe environment and meeting federal and state standards for pharmacies is a big part of this position in order to make sure that your customers get the right medication. Compensation is around $25,000 a year. Why do you want to work for Amigos United? This is an extremely common interview question, so you should be prepared for it. Talk about what drew you to the company, whether it was the company culture or benefits and why it’s your first choice in places to work. What experience do you have? If you have relevant experience, highlight it. If you don’t, talk about what you can bring to the position and offer the company instead. Make sure to use plenty of examples to back up and support any claims that you may make. Amigos United relies heavily on customer service for their business, so you may be asked this question in the form of a hypothetical situation: How would you take care of an upset customer? Be practical and realistic as you walk your interviewer through the steps you would take to turn the customer’s experience around. Several positions require the lifting of heavy objects or standing for long periods of time, so you may be asked: Is there anything that could keep you from doing your job? The company wants to make sure that you’re settled in the proper position, so make sure that you’re honest. How to apply for Amigos United online: start by narrowing down your search to the location that you’re interested in. If you can, find the actual address for the company as that’s the only way to know you’re applying for the specific store. Once you’ve found the position you want, read all the job requirements closely before filling out your Amigos United application. There is no printable application for Amigos United available on their website. Before attending you interview, do research on Amigos United and the industry in order to create a list of questions that you can ask. For an entry level position, this seems excessive, but it will place you in front of the other candidates as it shows that you think ahead. Have a positive and friendly demeanor when you attend your interview because it will give a good impression. As your interview will be in a semi-formal setting, dress nicely in business casual if you can. If you’ve applied for a managerial or supervisory position, a suit would be appropriate. Show gratitude at the opportunity to interview with this company. Inquire about the best way to check on your hiring status as some applicants will learn if they got the job. Amigos United will want to screen all candidates before making a final decision on who they hire. Ingles: See our guide for careers at Ingles. Hannaford: For career opportunities, fill out the Hannaford online application. Food Maxx: Use the Food Maxx job application to apply here. Market Basket: For career opportunities, fill out the Market Basket online application. Smart & Final: Visit the job application for Smart & Final to apply today.